Does this color combo remind you of the 80's spandex fitness attire?? Haha. 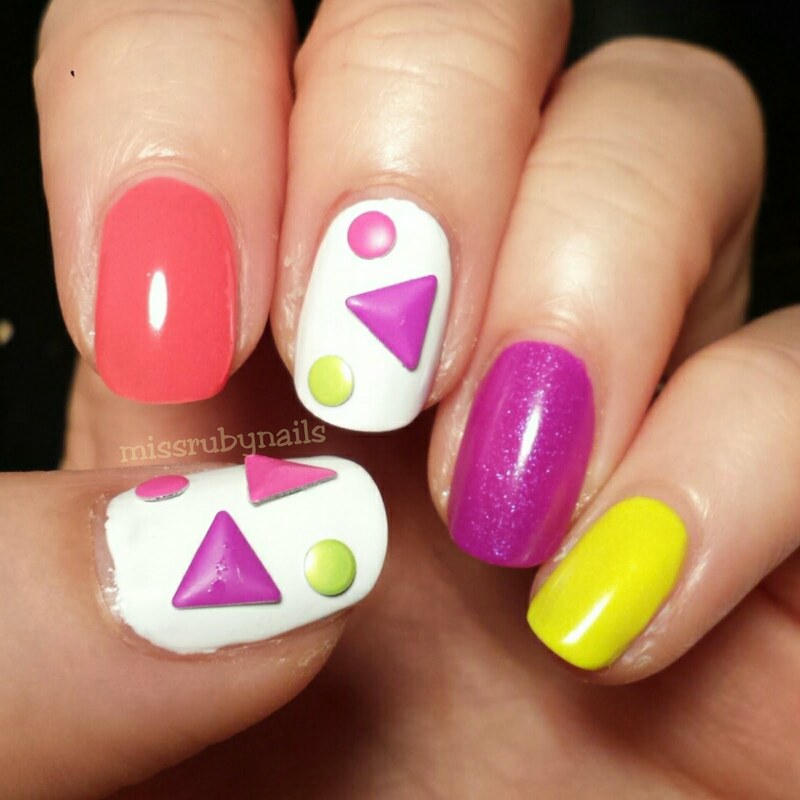 Here's a super fun and colorful neon manicure set with big nail decor's. I painted 2 coats of each color to achieve an opaque base. Other the the white, I had a neon pink, neon yellow, and a bridge fuchsia color. At first I thought it was quite random and I didn't really like it. But after matching them up with the colorful studs I love how this set turned out! 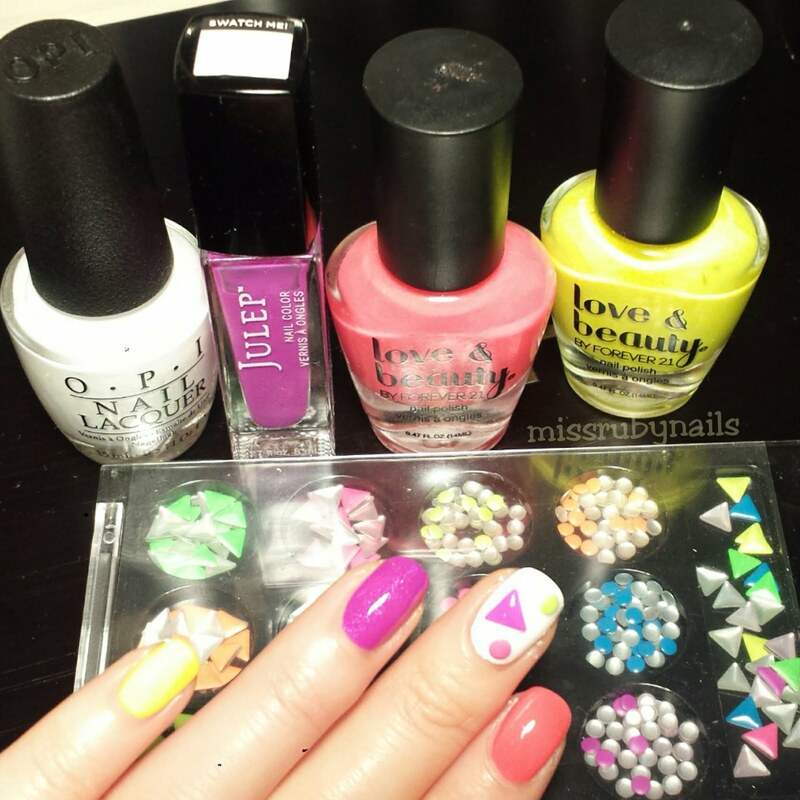 I then added matching bright colors of nail studs by Forever 21. The triangle ones were huge and I had to make sure the corners were packed with clear polish or else they will pop off right away! 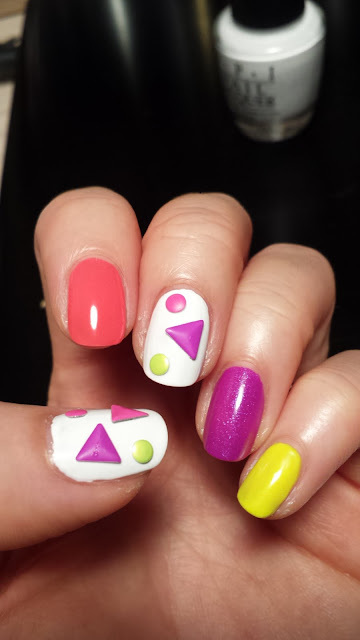 Click HERE for more nail designs! 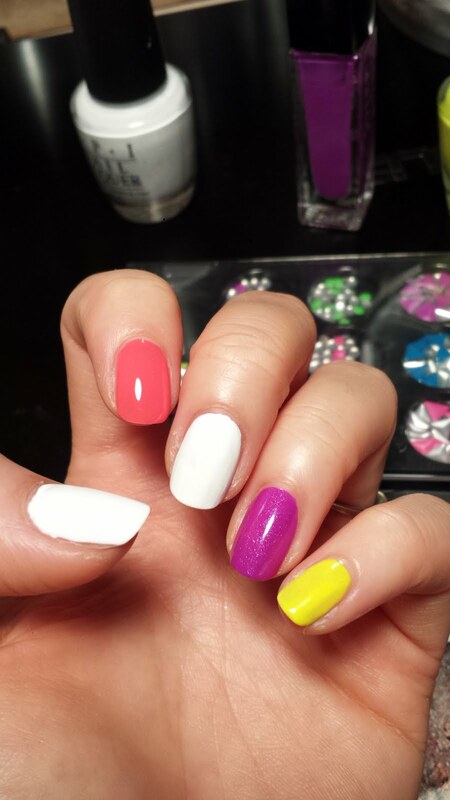 Click HERE for more polishes reviews! Copyright © Miss Ruby Nails 2019 All Rights Reserved. Watermark theme. Powered by Blogger. Disclosure: Some product links are affiliated.